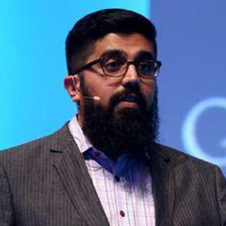 Vikram is a Brand Lead on Google's Creative Partnerships team, and recently led projects with Target, Lionsgate Films and Google's internal product teams. He comes from an agency background spending 4 years at KBS+ agency, where he led the product and UX teams. He also helped build KBS’s digital team and processes from the ground up. Prior to that, he spent time as an intern in research teams at various tech and media companies, including Microsoft and NBC Universal. He has a Masters from NYU’s ITP program, which he joined after a 3 year stint as a photo editor for Men’s Health magazine.